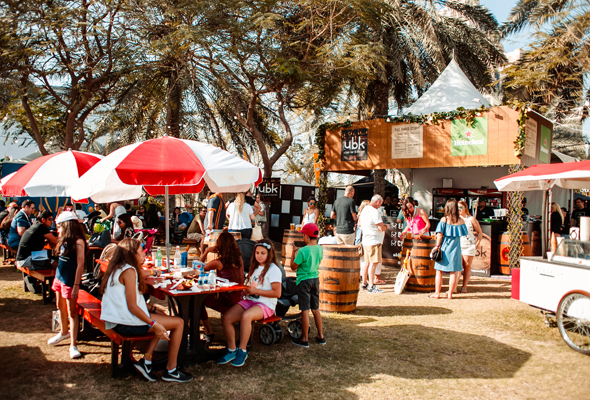 Nothing says springtime in the city quite like a weekend spent lazing and grazing in the sun, and Taste of Dubai always brings ample opportunity for both. The festival is known for gathering a host of top name chefs and high-end restaurants around the table, and 2019 is no different. Between them, the brigade of top chefs will be hosting a series of masterclasses, demonstrations, tastings and competitions across the weekend, while a host of bars, live music stages and entertainment options will ensure even the most kitchen-calamitous attendees can find a home on the site. Whether you’re a fan of The Great British Bake Off, or you just enjoy a good cake (and frankly, who doesn’t? ), this new-for-2019 tent is one you really won’t want to miss. Hosted by Master Pâtissier Eric Lanlard and a brigade of Dubai’s finest bakers, pastry chefs and international sweet-tooths, the series of specially-tailored masterclasses on offer here promise to have you icing your own spectacular creations in no time at all. From cakes to cookies and macarons to marzipan models of your favourite Hollywood stars (maybe), if you’ve ever fancied your hand at creating dazzlingly decadent desserts, this is the place for you. 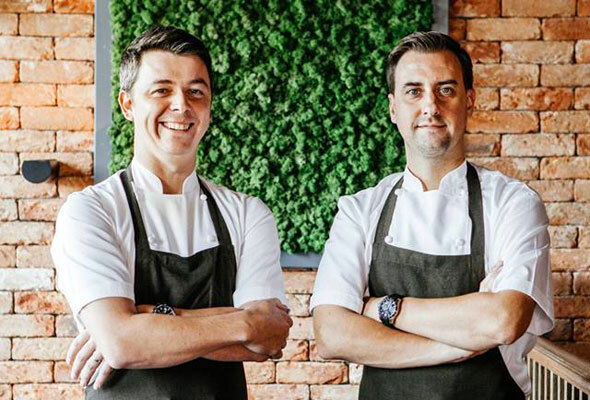 A series of the city’s top chefs will spend time on the podium here across the weekend, offering up a host of top tips and techniques for anyone looking to up their own entertaining game. With everyone from local food-scene stalwarts Nick and Scott and Tarek Ibrahim through to Japanese celeb-chef Masaharu Morimoto, acclaimed international restaurateur David Myers and South African kitchen personality and TV-star Jenny Morris appearing at the pass, you’re bound to pick up a few tricks of the trade. Arrive early enough to grab a front row pew and you might even get to sample their creations yourself. 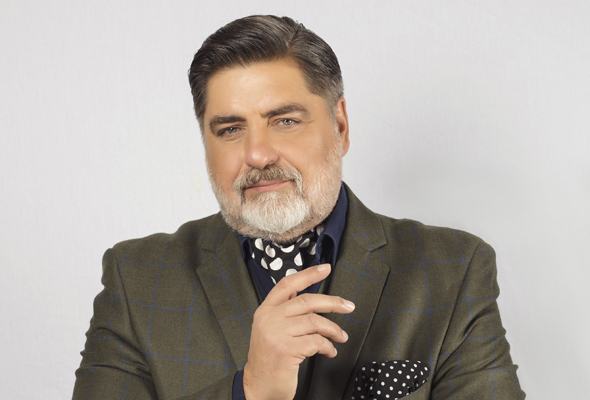 MasterChef Australia’s Matt Preston will be jetting in to Taste of Dubai on Saturday March 9 to host a special MasterChef, the TV Experience ‘Mystery Box Challenge’ where amateur cooks will get a chance to get their dishes judged by Matt himself. While we’ll never tire of eating, sometimes you need to get up and move a little before you can start in on plate of food number ten, which is where the ever-popular entertainment stage comes into play. 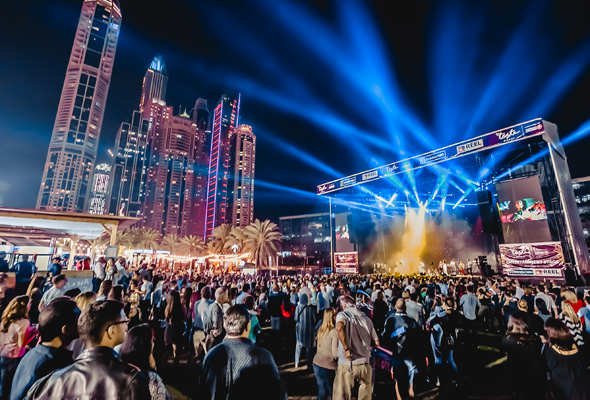 Headlining the opening night of the Taste of Dubai will be British pop icon and ex Spandau Ballet performer, Tony Hadley. The former lead singer will perform classic hits including True, Gold and Only When You Leave. Other performances will see you doing the Ballet Boogie along to Italian swing band Mark Zitti and The Coltelli Brothers, lounge to the jazz-soul sounds of South-London songstress Sam Tring, or party into the evening with DJ Sheps, a dancefloor veteran who has shared a bill with everyone from Boy George to Brandon Block.